A return to the two one-hour race format seemed to allow Barwell Motorsport the invitation to extend their already handy championship lead with the third double-header of the season. 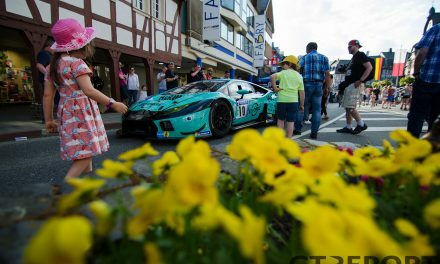 However, not all would be as it seemed as a general air of chaos fell on Spa-Francorchamps as the British GT Championship went on its annual weekend away. 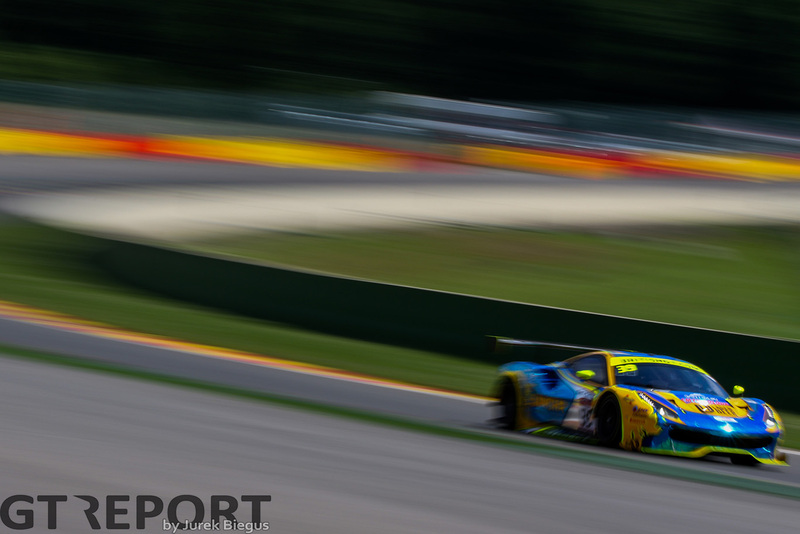 In the GT3 class, a few new entries into the championship from Team WRT and Kessel Racing threw the cat amongst the pigeons as Piti Bhirombhakdi in the Kessel Ferrari thought nothing of ducking and diving up from fourth to pass Rick Parfitt by the time the field got to Les Combes on the first lap. There wouldn’t be much time for Team Parker Racing’s Parfitt to make up the time as a crash for Steven Fresle in his Ginetta G55 GT4 led to what became almost 25 minutes of safety car running as, on the first attempted restart, Nick Jones collided with Anna Walewska and ended up almost entirely on the roof of the latter. Clearing those two cars saw the field get into the first round of stops, that was probably inconvenient for the Maserati squad of Charlie Fagg and Matty Graham who were using the speed of the GranTurismo to power through from the back of the GT4 field to close in on the class lead. The pitstop was certainly convenient for the championship leaders – Phil Keen & Jon Minshaw – as slick work from the pit crew allowed them to get out on track in spitting distance of Parfitt, who pitted a few laps later than the others in an attempt to get a clear pit lane for their stop. 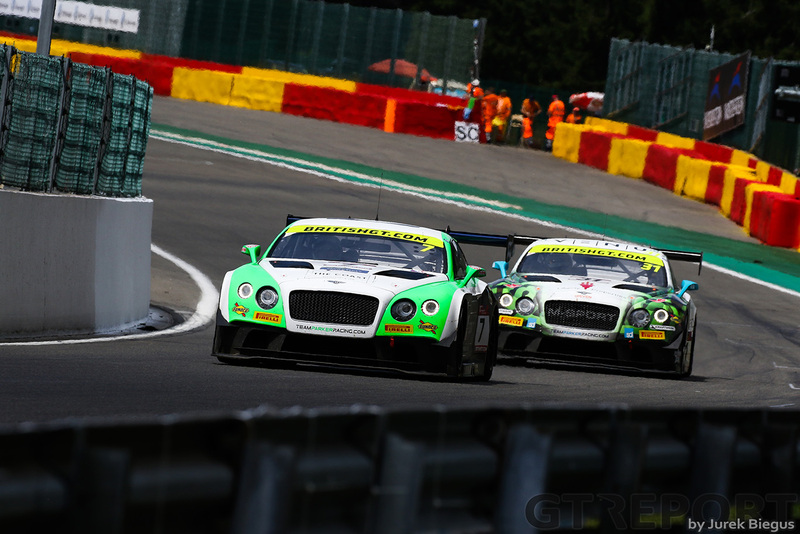 That idea didn’t work for the Bentley as Seb Morris got into the car and got out behind the Team WRT Audi R8 LMS of Stuart Leonard and the Kessel Ferrari which was taken over by Carlo Van Dam. 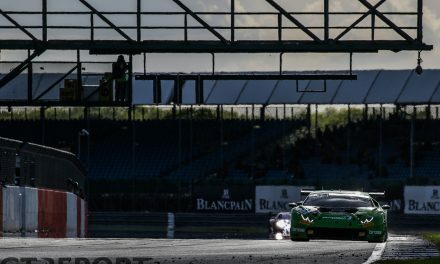 He was also behind the just-for-Spa third Barwell Lamborghini of Adrian Amstutz and Patrick Kujala, but an issue for Kujala on the last lap allowed Morris to claim fourth and Callum Macleod to claim fifth in the second Team Parker Bentley. Keen had no such troubles at the front as he pulled away for a 14 second victory. Matty Graham had a decent lead of his own at the front of GT4 as no one else was able to touch their lead. The Lanan Racing Ginetta pairing of David Pittard and Alex Reed put up a good effort, but they were busy fending off the Rockingham-winning pairing of Will Tregurtha and Stuart Middleton in the HHC motorsport Ginetta. The second race of the weekend saw no safety car periods, as the field somehow managed to keep itself out of serious trouble for the second 60 minute encounter, saw Callum Macleod and Ian Loggie place themselves in the right place at the right time to turn the pair’s good pace into their first British GT victory as they made the most of Minshaw being clipped by a lapped GT4 car to take victory. However, Ian Loggie – who cut the lead enjoyed by Minshaw down from 4.4s to 0.9s in just a few laps – said after the race the Bentley would have finished at the top step of the podium in any case, and by looking at the defensive display he put on against WRT’s Alain Ferte, who could argue against Loggie? That wasn’t the full story though, as at the start of the race Keen did what he does best and blasted into a ten second lead as Macleod, who started second, was battling to maintain that position from Kujala. 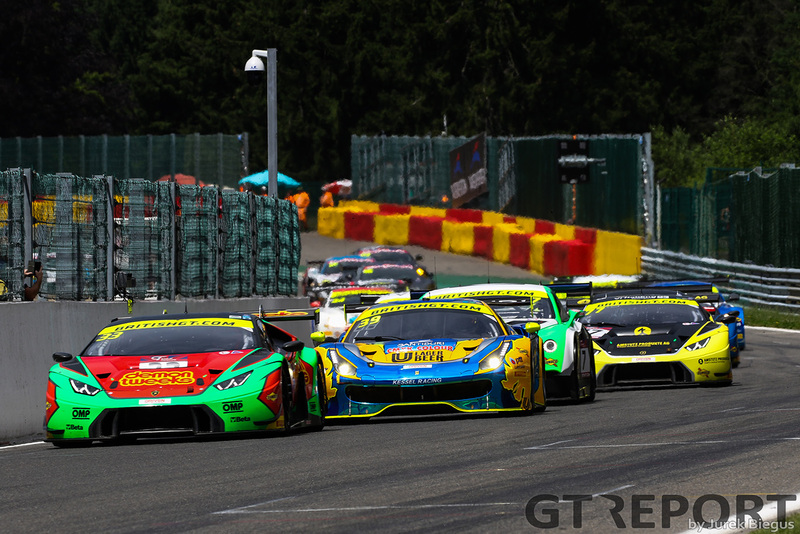 An unremarkable first stint for the most part descended into a bit of action at the stops as Barwell performed a stellar stop once again to get Minshaw out in a good position – even with success penalties factored into the equation. 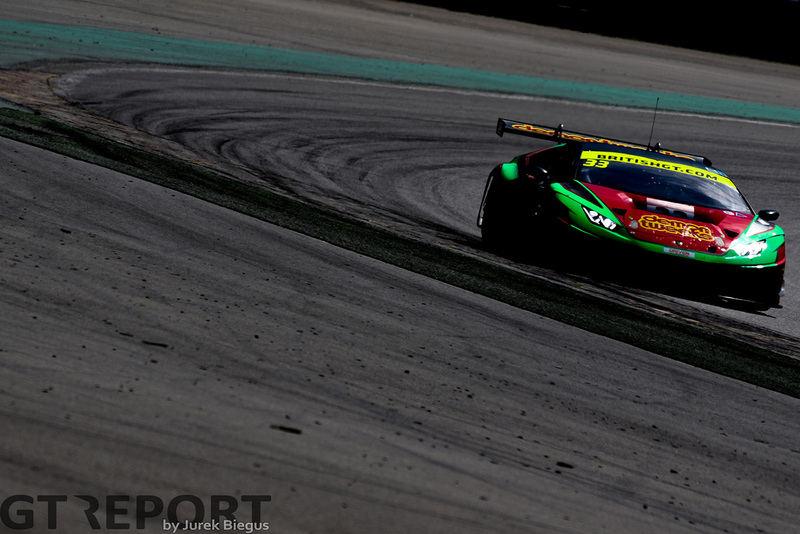 Parfitt was running second for a time, but repeated corner-cutting saw him slapped with a ten second penalty, which allowed Ferte to move up into the prime position to close in on the red-and-green Lamborghini. However, he hadn’t factored the speed of the Bentley into the equation and Loggie was soon past the silver and yellow Audi before doing the same thing to Minshaw. Third place in GT3 went to Macmillan AMR as Jack Mitchell and James Littlejohn held their own as rivals started to stick their elbows out and reaped the benefits of that. 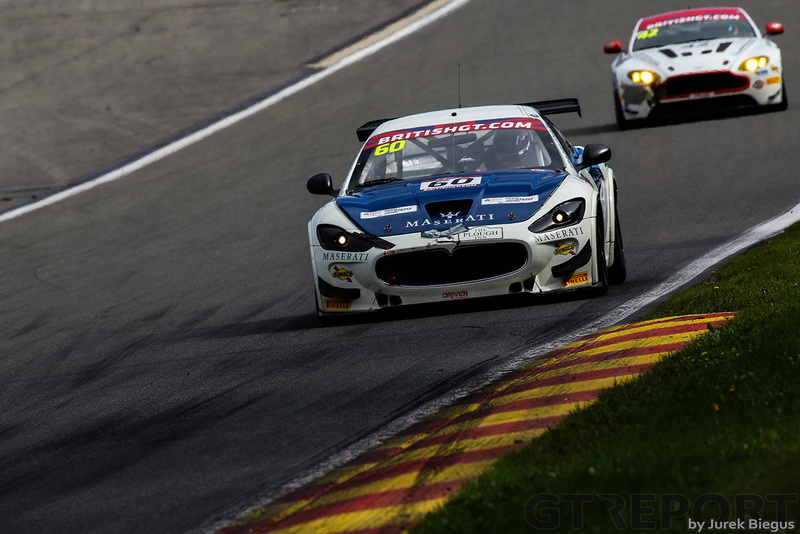 GT4 again went the way of the Ebor GT Maserati as once again Fagg & Graham decided to do away with conservatism and blasted their way from last to first with less than 30 minutes on the clock. The pair pulled into a 35 second lead so the interest turned to who would finish second. For a time it looked like Joe Osborne had done enough to counter-act the fact that his Tolman Motorsport McLaren 570S, shared with David Pattison, was a Pro/Am car battling with a raft of Silver Cup entries. They were running second for a time, but Pattison didn’t quite have the pace of Tregurtha in the HHC car, who claimed second place – and the championship lead – on the last lap. 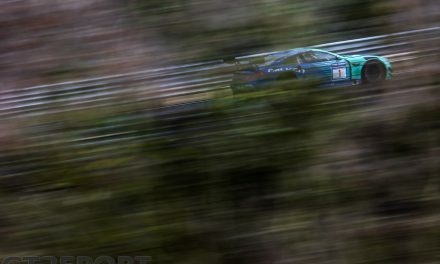 The next round of the British GT Championship is the penultimate two-hour race of the season at Brands Hatch, which Minshaw and Keen will be hoping to win, in order to claim their first title after years of just falling short.